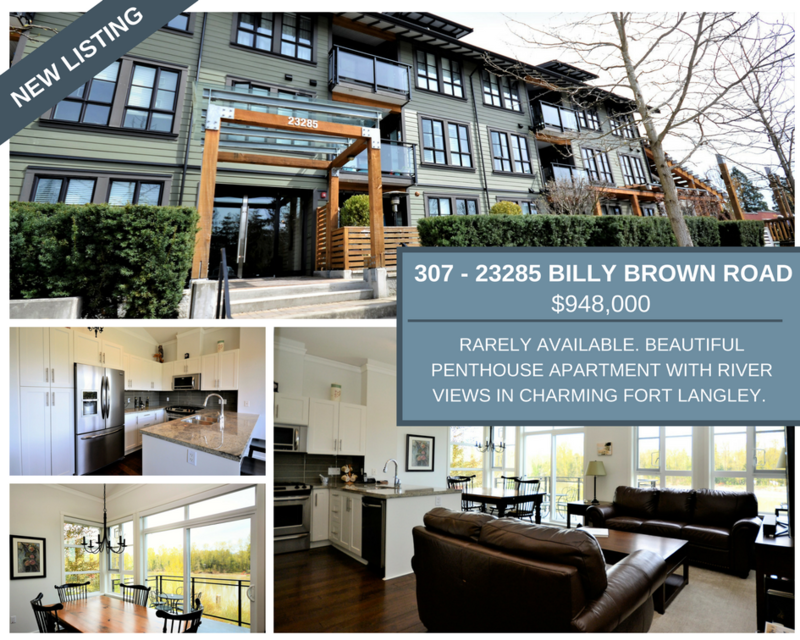 Incredible PENTHOUSE with unobstructed river views in the heart of Fort Langley. This is THE special apartment you have wanted this entire time! This top floor corner unit has vaulted ceilings and is BRIGHT and OPEN. It boasts granite counters and stainless steel appliances including a gas stove. 2 underground parking spots for both of your vehicles. Bike storage, fitness room and clubhouse are some of the extra features. Enjoy the SPECTACULAR VIEW from the kitchen, private patio, living room, or master bedroom. 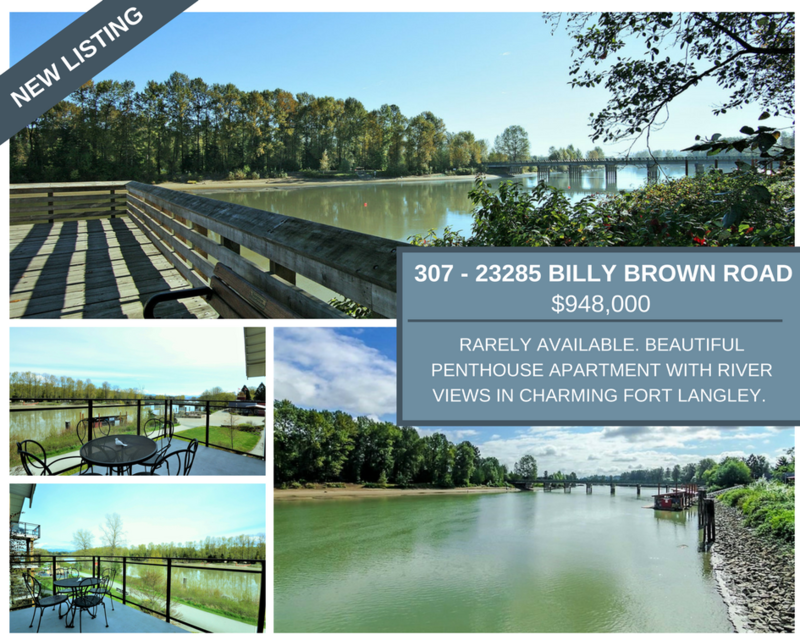 Enjoy walking on the river-side trails, enjoy local restaurants and shops, and indulge in everything Fort Langley has to offer. This will not last long.